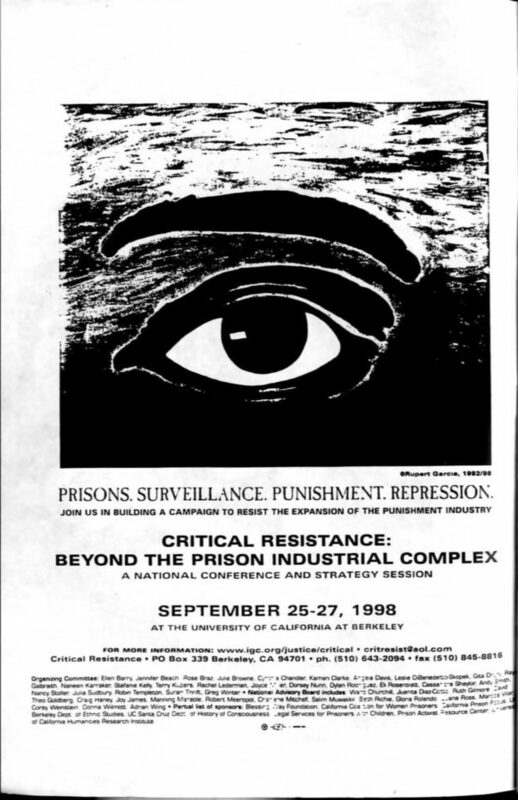 September 2018 marks 20 years since Critical Resistance: Beyond the Prison Industrial Complex, the 1998 conference which re-ignited a movement and launched our organization. The abolitionist movement to dismantle the prison industrial complex (PIC) has grown tremendously since then. In order to grow the movement and increase the strength and passion for PIC abolition, we are beginning these preliminary online archival documentations. We will share materials, histories, lessons and practices from the past 20 years online and will host some discussions and reflections on this foundational era. We aim to strengthen political unity across our movement and other sectors about PIC abolition, to build stronger intergenerational understanding of how we arrived in this current moment, and illuminate the ways that CR has shaped and contributed the movement to dismantle the PIC. We invite you to join us this year and beyond as we reflect on the gains of the past 20 years, uplift contributions and contributors, and illuminate ways forward. Critical Resistance was formed in 1997 when activists challenging the idea that imprisonment and policing are a solution for social, political, and economic problems came together to organize a conference that examined and challenged what we have come to call the prison industrial complex (PIC). The first CR conference was the way to launch campaign work (Stop Delano II, the campaign that halted California’s 20-year prison building boom) that started immediately. 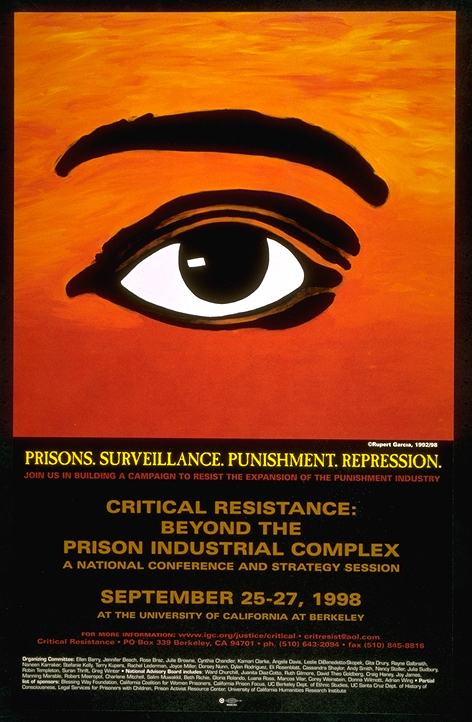 Planned by former prisoners, family members, organizers, scholars, attorneys, service providers, students, and more, the purpose of this conference was to address the alarming growth of the prison system, popularize the idea of the “prison industrial complex” (PIC), and make “abolition” a practical theory of change. Held in Berkeley, California, in September 1998, the conference brought together over 3,500 activists, academics, former and current prisoners, labor leaders, religious organizations, feminists, gay, lesbian and transgender activists, youth, families, and policy makers from literally every state and other countries. The three-day event featured nearly 200 different panels and workshops. 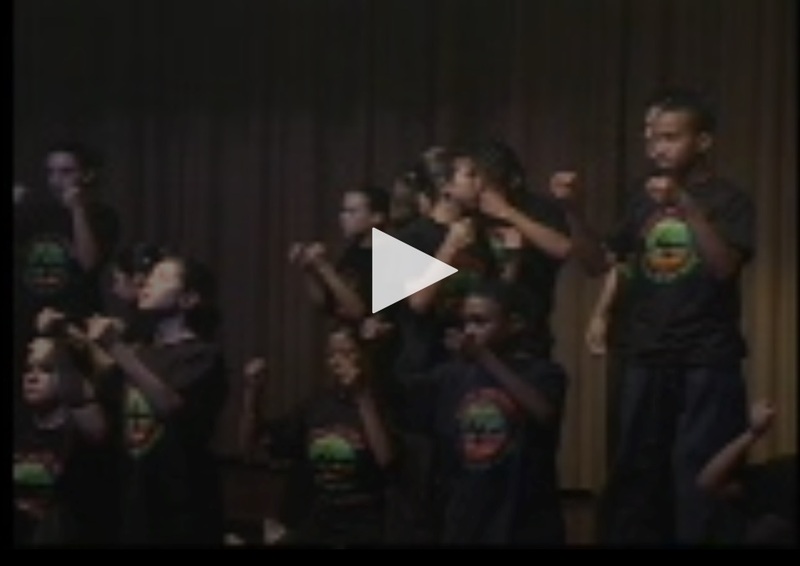 The conference also included a number of cultural events and a ﬁlm festival. While the conference was a huge success, CR recognized that its work had only begun. The program, messaging and organizing to pull off the founding conference seeded the call to carry the work forward. 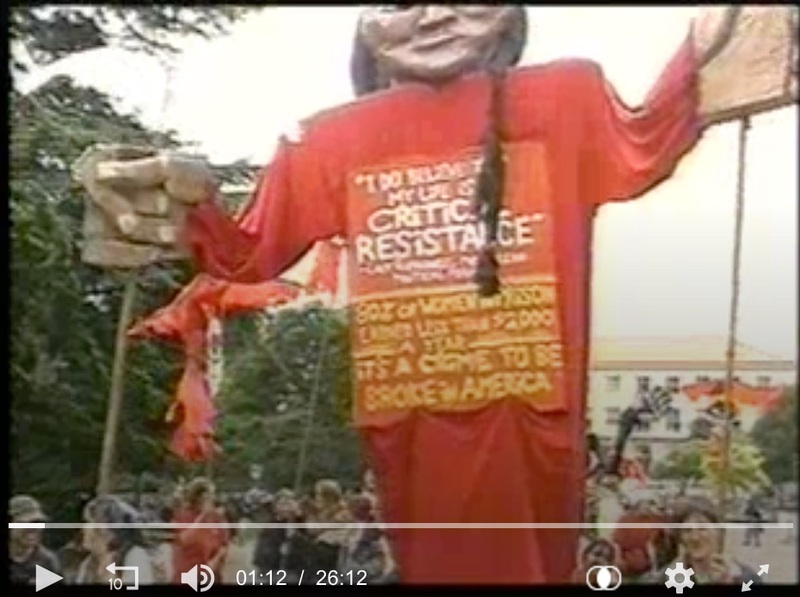 In the months following the 1998 conference, the phone kept ringing with people ready to “do Critical Resistance” and it was Rose Braz, member of the 1997 collective and CR’s first staffer, who helped push this effort forward. The goal of CR was, and continues to be, building a movement to eliminate the prison industrial complex. Critical Resistance: Beyond the Prison Industrial Complex, Part 2: USA INCarcerated by Paper Tiger TV West. Do you have photos or materials to share? Please email them to Jess@criticalresistance.org with “CR1998” in the subject. Thank you for helping us build this collection! 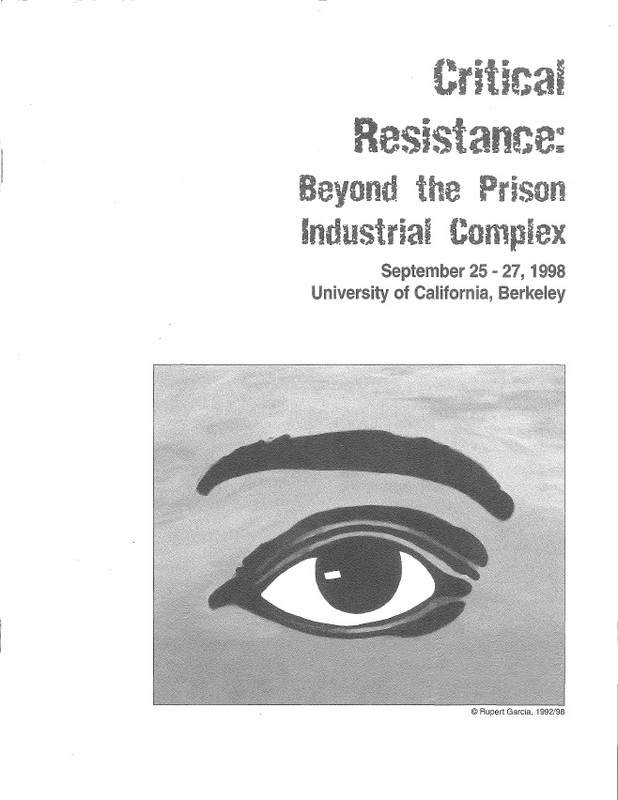 Critical Resistance 1998 Conference Program. Click to view PDF of full booklet. “Organized Resistance: Building a Movement Against the Prison Industrial Complex,” by Cassandra Shaylor. Published September 10, 1998 in Colorlines. Critical Resistance to the Prison-Industrial Complex, Social Justice Journal, Vol. 27, No. 3 (2000). Edited by the Critical Resistance Publications Collective. 240 pp., paper. ISBN: 978-0-935206-03-6. “The History of Critical Resistance,” by Critical Resistance guest editors. Social Justice, Vol. 27, No. 3 (81), Critical Resistance to the Prison-Industrial Complex (Fall 2000), pp. 6-10. Published by: Social Justice/Global Options. 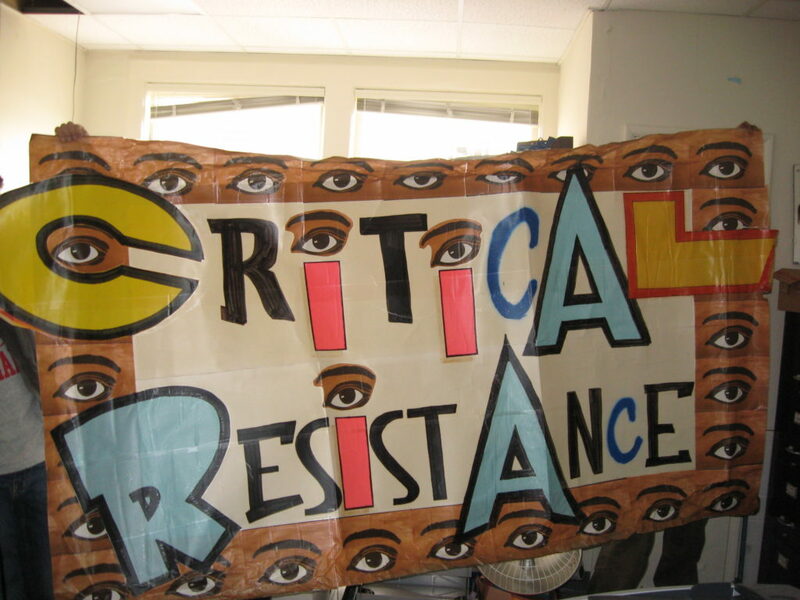 “Reflections on Critical Resistance,” by Rita (Bo) Brown, Terry Kupers, Andrea Smith, Julia Sudbury, Dylan Rodriguez and Nancy Stoller. Social Justice, Vol. 27, No. 3 (81), Critical Resistance to the Prison-Industrial Complex (Fall 2000), pp. 180-194. Published by: Social Justice/Global Options. “Class Dismissed: Higher Education vs. Corrections During the Wilson Years,” Justice Policy Institute, September 1998. Khaled Taqi-Eddin, et al. On September 23, 1998, Justice Policy Institute (criminal justice think-tank) released a study detailing the gap in spending between prison and universities (Khaled Taqi-Eddin, et al., “Class Dismissed: Higher Education vs. Corrections During the Wilson Years,” Justice Policy Institute, September 1998). They presented their findings at the CR conference.